We are a family-owned Australian enterprise, founded in 1980 and specialising in the manufacture and filling of sachets for powder and liquid. Located at Belrose, NSW, our factory is equipped with the very latest machinery. Our state-of-the-art die-cut machine enables us to produce sachets in any shape or configuration. i/e double sachets, twin packs or perforated strips. 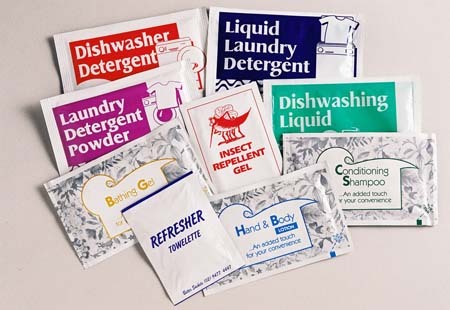 At Better Sachets, we take pride in offering excellent service to our clients. The measure of our success is the fact that our core business comprises repeat orders from long-time customers, including multinational cosmetic companies, manufacturers of hair care products and therapeutic suppliers. Our plant produces more than 80,000 sachets per day, satisfying a diverse array of customer requirements. We are able to generate small promotional runs (from 5000 units), thereby providing the ideal solution for you to test a product or distribute samples in a small environment. At the other end of the scale, we can supply high volume production of units for magazine insertion or other large-scale promotion. We have a separate manufacturing division dedicated to packaging of veterinary products. Many of these products are packaged into their final retail or display packs prior to dispatch.